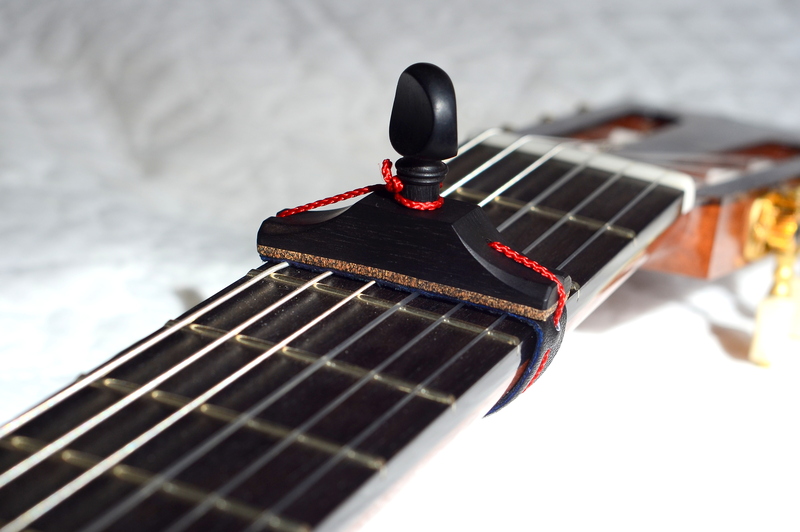 Players of stringed instruments, particularly fretted stringed instruments, have been using capos to raise pitch and change key for a very long time. 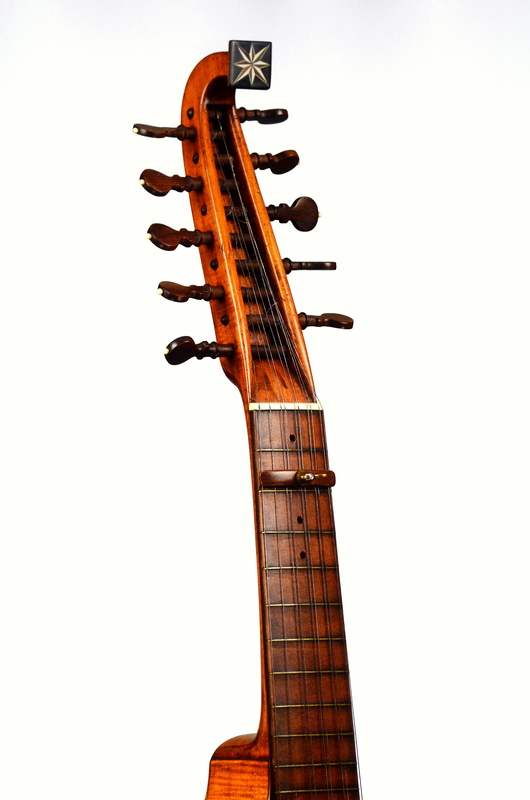 Some early English guittars, like one below, made in London in 1760¹, actually had holes drilled through the fingerboard and neck to allow a capo to be held in place with a screw and wing-nut. 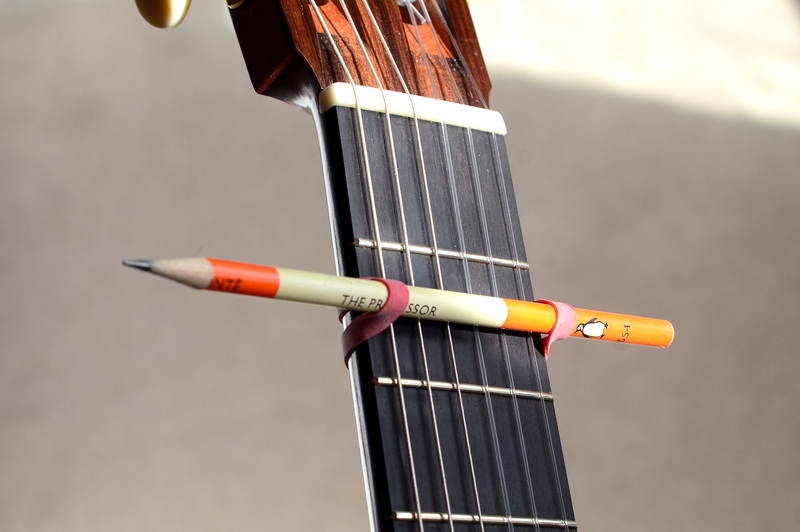 Recently, I’ve been experimenting with another type of capo with a long history – the cejilla. Nowadays, they’re mainly used by flamenco guitarists, but a friend, who plays a copy of a nineteenth century guitar, thought that it would be nicer to have a capo that was plausibly of the same period as her instrument instead of a modern metal anachronism. My first attempt to make one worked well enough as far as stopping the strings was concerned. But it looked clumsy because the peg head was too large. Worse, at least from the player’s point of view, the sharp corners were uncomfortable for the left hand. So for the second one, I substituted a smaller peg from a half-size violin and softened the edges of the cejilla with a tapering chamfer. It looks better, I think, and I hope it will be more comfortable to use. 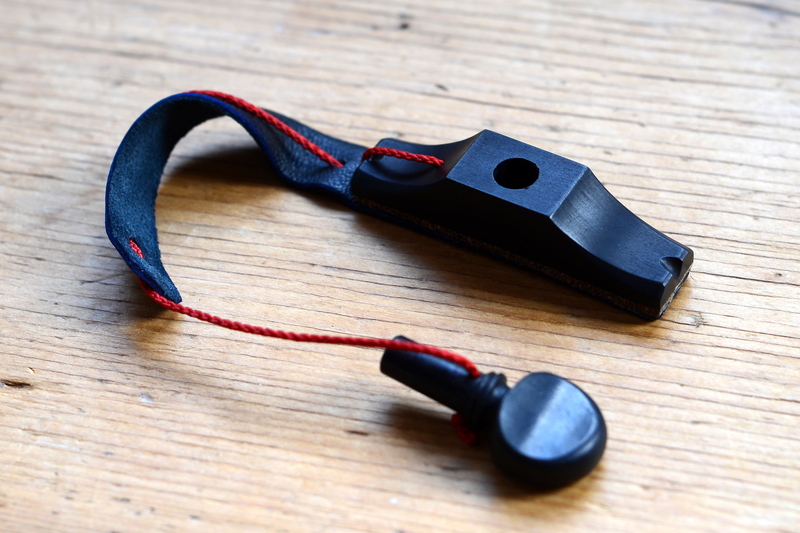 Cejillas aren’t difficult to make as long as you have a peg shaver and a matching tapered reamer available, and a bit of practice in persuading tuning pegs to turn smoothly in a tapered hole. This is everyday stuff for violin makers but guitar makers who fit worm and wheel tuning machines may not have the necessary kit. Mind you, since a pencil and an elastic band will do much the same thing, they may think cejillas are too much fuss anyway. 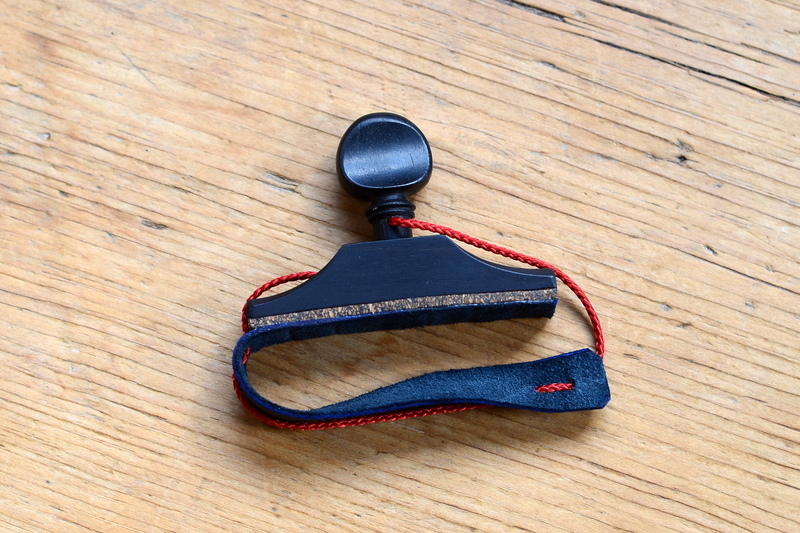 Anybody interested in the history of capos and the diverse and ingenious mechanisms that have been invented to provide what’s really just a moveable nut will enjoy the online Capo museum which has a wonderful collection (237 different designs). As usual, click on the thumbnails for a more detailed view. 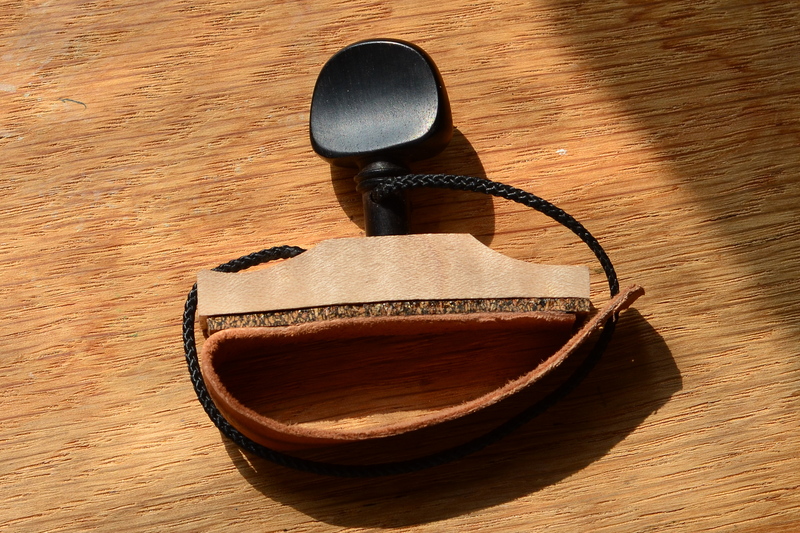 This capo looks beautiful. I would like to order one for my Baroque guitar.